Coming up with gluten free dinner party ideas can feel like hard work. 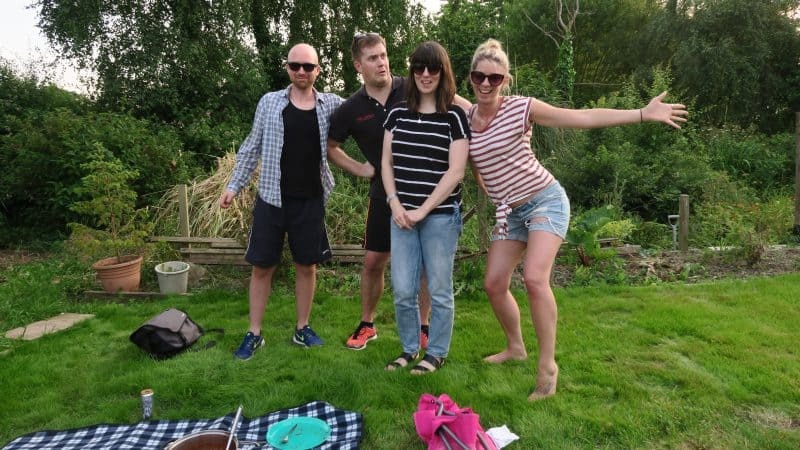 I often find when I am a guest at dinner parties, people really struggle with catering for coeliac disease and get in a complete fluster about what is gluten free, and what is not. They will often go for completely bland and unexciting food, not realising that gluten free does not have to mean boring. 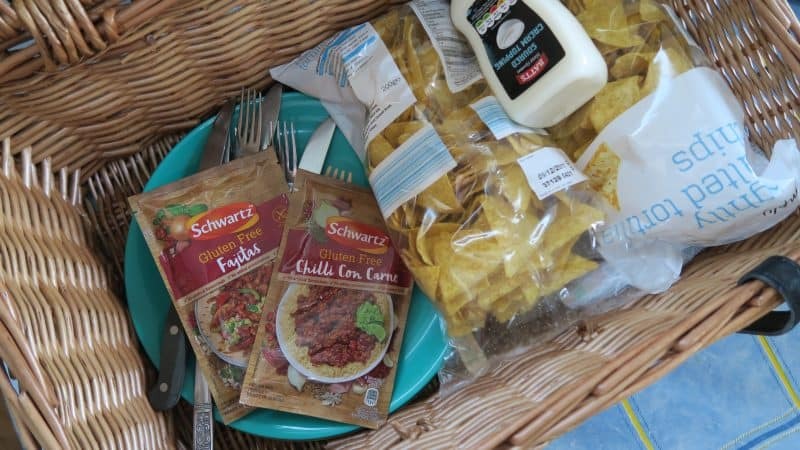 But luckily Schwartz has come up with a range of gluten free packet and sauce mixes, which have just made gluten free dinner parties a whole lot easier. I was really excited when Schwartz invited me to collaborate with them and throw my friends a gluten free dinner party using their mixes. The twist? The whole thing had to be gluten free, but I’d only reveal this at the end, and the fact that I had used ready-made mixes to conjure up the whole thing. 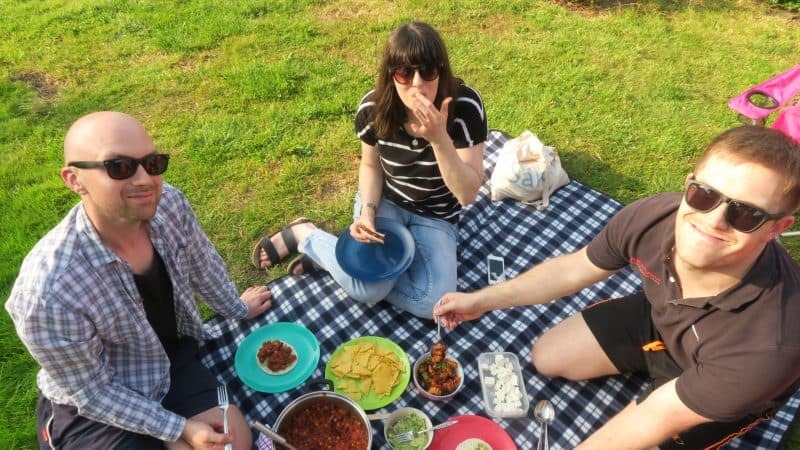 I decided to embrace the heatwave of the week, and throw together a sizzling, spicy fiesta of a Mexican banquet for some close friends. You can see it how it went down in my video! It actually came at a perfect time. I feel like this is a year of change – a lot of my friends are starting families and my best friend Lauren is moving away to Canada in just less than a month, so this was a lovely excuse to get a few of us together and enjoy an evening together with good conversation and good gluten free food. I opted to make the gluten free Chilli Con Carne and the gluten free Fajita packet mixes from Schwartz. I followed the packet mix instructions on the Fajita mix, to make chicken fajitas with mixed peppers. I wanted to make a vegetarian chilli con carne, so instead of beef mince I used kidney beans, chickpeas, borlotti beans and aduki beans. 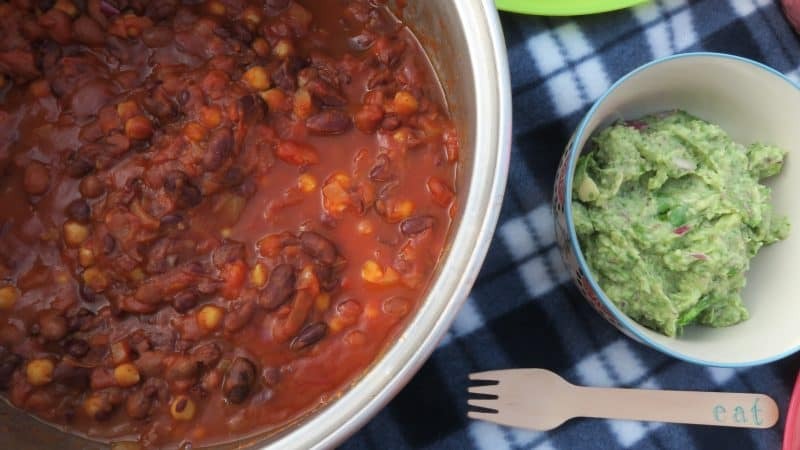 This made a bumper-sized chilli (see recipe below) with enough to have some leftovers for lunch! 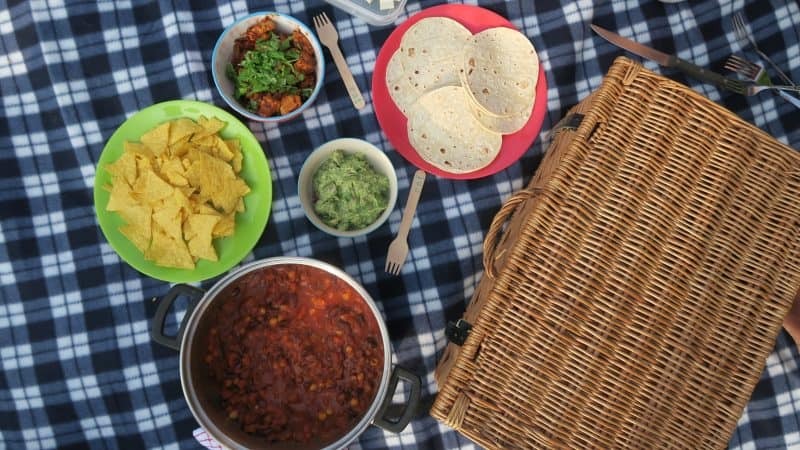 For extras I also made some fresh guacamole – no Mexican feast is complete without it – and I served it with gluten free nachos and gluten free tortilla wraps. It was finger food at its finest, and meant everyone could just make up their own plates with whatever they fancied. After we had devoured the feast, I broke the news to everyone that the dinner party was in fact created from gluten free packet mixes. My friends weren’t surprised everything was gluten free. I can’t be bothered with the faff of ‘what’s gluten free and what isn’t’ – if I am cooking, everything will be gluten free, and that-is-that. And to be honest, my friends are always really excited to try new gluten free foods and they have never once complained. 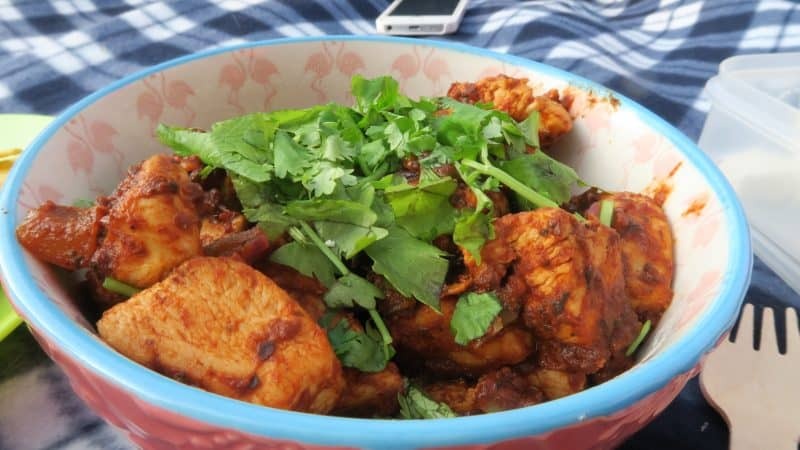 I think they were a little surprised I had used a spice mix – as a food blogger people expect you to cook everything from scratch, but we were all really impressed at the quality of the food. It makes cooking for several people so much easier and they all really loved the spice mixes. Steve has even asked me to cook the chilli again already! So if you’re looking to throw a gluten free dinner party, I can’t recommend the Schwartz spice mixes enough. I’m really looking forward to trying some of the others – the cheese sauce is dying to made into a gluten free cauliflower cheese bake, and I’m really interested to try the Bolognese one too, as I haven’t made a bolognese for so long and it has a lot to live up to with the one my Dad makes! 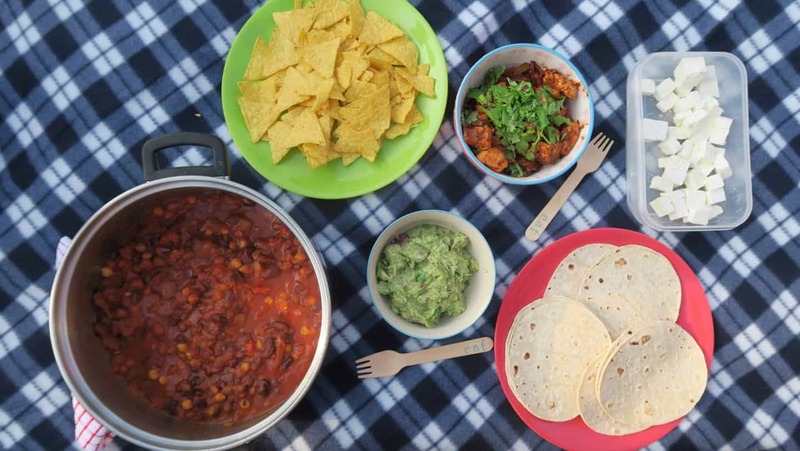 If Mexican food isn’t your feast of choice for a gluten free dinner party, there is a huge range of gluten free packet mixes and pour-over sauce mixes to choose from in the Schwartz range. 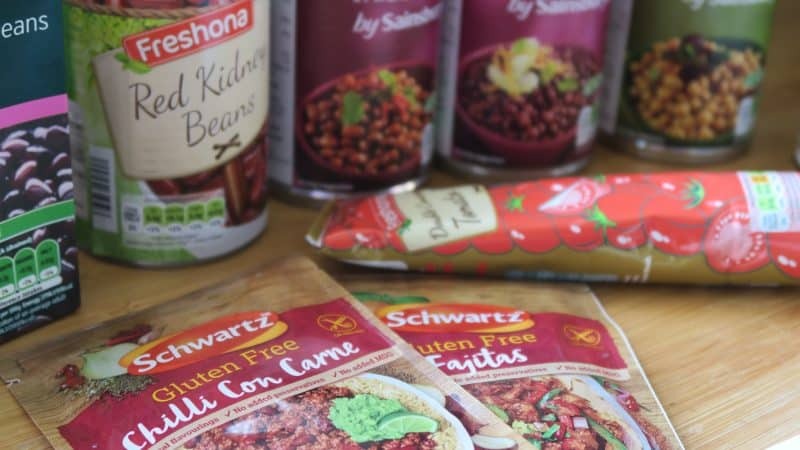 All of the Schwartz gluten free range of mixes and sauces can be found in supermarkets for RRP £1.30. Find out more about the gluten free range on the Schwartz website. This post has been sponsored by Schwartz. I sometimes accept sponsored posts with brands I love and trust, but my opinions are always my own.